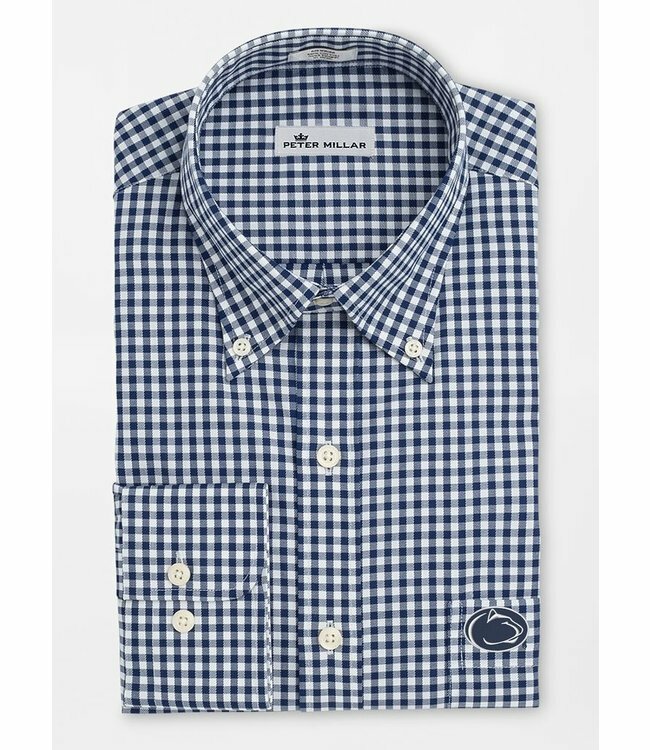 This Penn State Crown Soft sport shirt is made from a luxurious cotton-silk fabric blend that offers exceptional softness and breathability. An updated pinpoint construction provides a sophisticated aesthetic. Finished with a button-down collar, French placket and double-button barrel cuffs. Pair it with Peter Millar Collegiate trousers and represent your school in style. Machine wash cold with like colors. Lay flat to dry or dry clean.